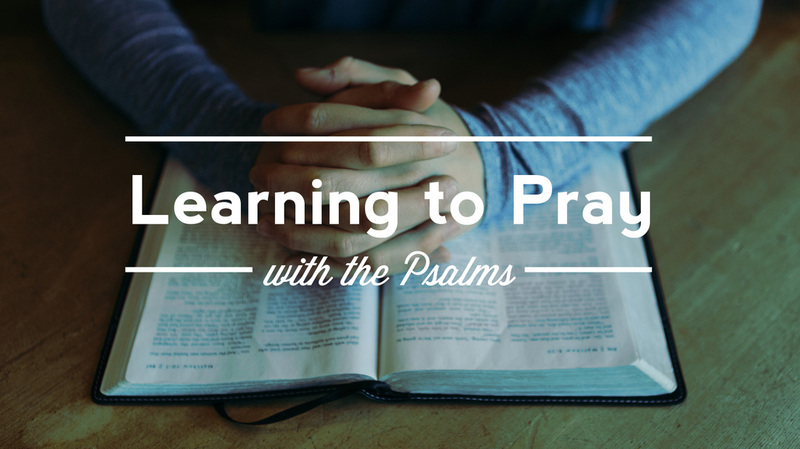 Join us as we Learn to Pray using the Psalms as our guide. There is nothing more crucial for the health of the church than cultivating a life of prayer. Spiritual growth, church growth, personal growth all begins and ends with prayer. And yet, prayer is often one of the most overlooked and/or under appreciated things we do. We want to pray, but it takes work. It takes work because it is not a natural thing to do—even though as Christians it should be the most natural thing we do! One of the reasons we struggle with prayer is that we don’t know how to pray. We think that prayer is the pastor’s job, or that the quick table grace before dinner is as deep as our praying-ability goes. Prayer is for the whole church and is something each of us needs to continually be taught. To help teach us to pray we will be using the Psalms because they have been the prayer book of God’s people for thousands of years. They were compiled by the Israelites for use in worship and as a personal prayer and devotional guide. If we want to learn to pray and to be close to our Heavenly Father, there is no better place to go than to the Psalms. The Psalms are the perfect prayer teacher because they reflect our daily existence. While there is some structure to the Psalms, they are divided into 5 books, there is no thematic continuity. They move effortless from psalms of praise, to lament, to wisdom, to worship, and back again. The Psalms are a reflection of our lives, our emotions, and our spiritual life as they penetrate (give words and meaning to) all areas of our life. Praying the Psalms also expands our vocabulary and how we think about God. They will give us new ways to express thanks to God, new ways to give our anger over to God, and new ways to worship God. For each of the next 6+ months, a prayer guide will be available that matches a (portion) Psalm to each day of the month. At the end of the time, we will have prayed our way through the entire book of Psalms. At this point, you may be looking for more direction as in, ‘how am I supposed to pray?’ And that is the catch! We are accustom to simple, step-by-step instruction manuals to follow which will make life quantifiably easier. There is no step-by-step manual (other than the Lord’s Prayer) because prayer is about keeping company with God; allowing the time for God to enter your life and you to enter His. Sit with the Psalm of the day. It may feel awkward at times but don’t give up! Ask the Holy Spirit to give you strength and wisdom to listen. Some days you will identify immediately with the psalm and other days you will struggle with it. And so, may we learn to pray as we enter into the Psalms.